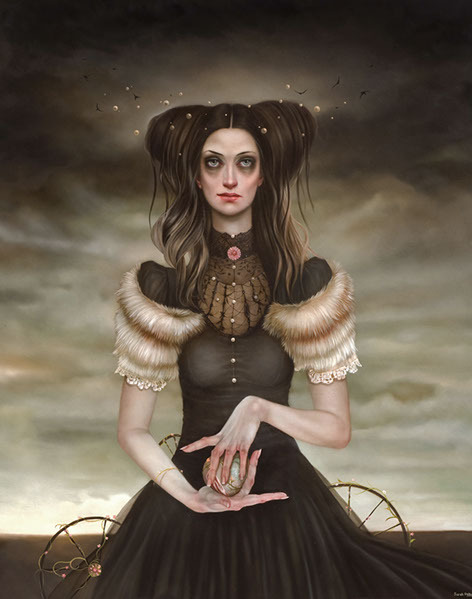 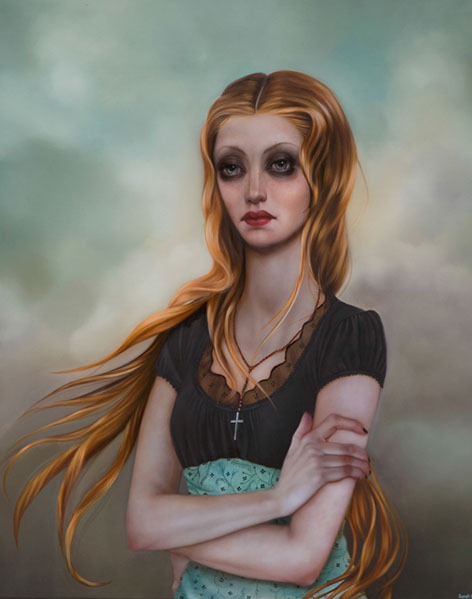 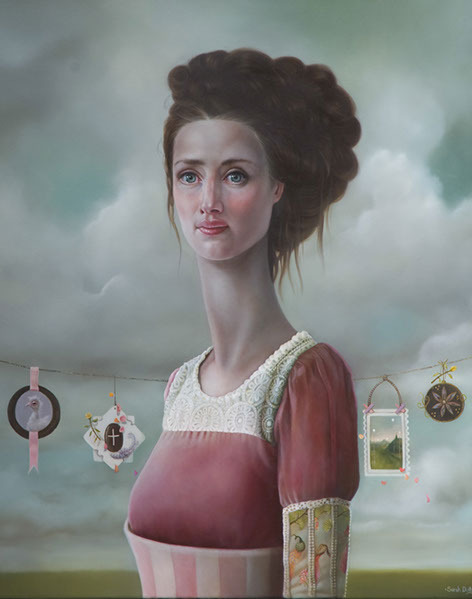 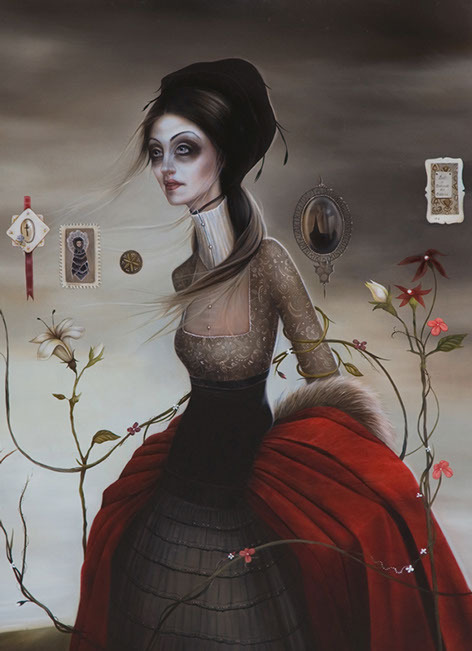 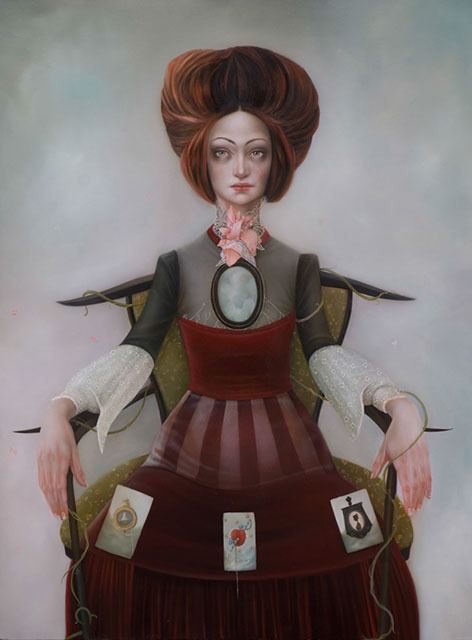 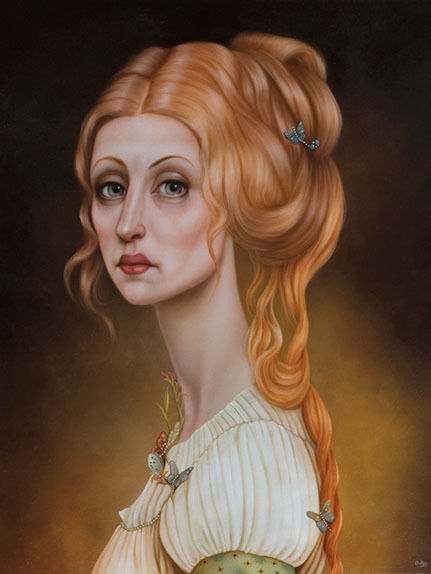 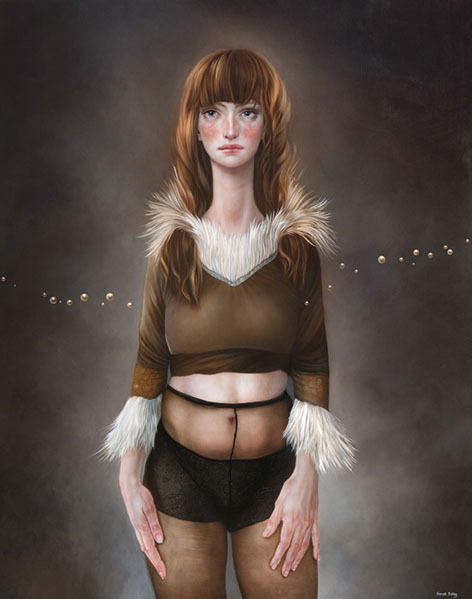 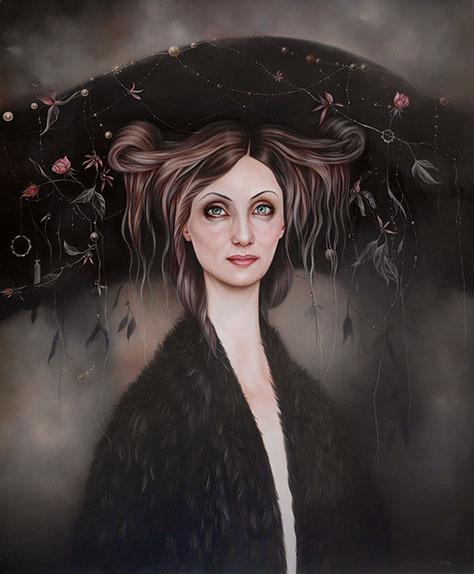 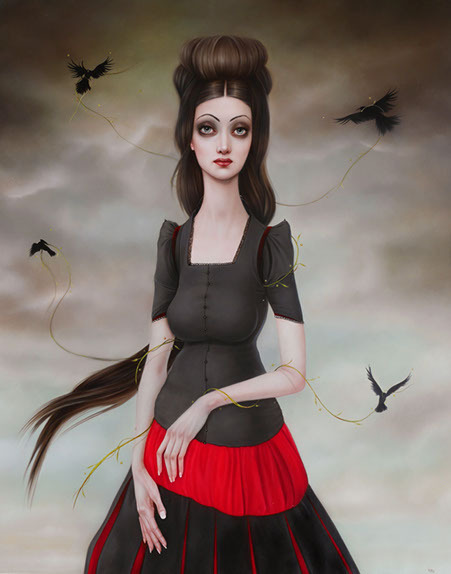 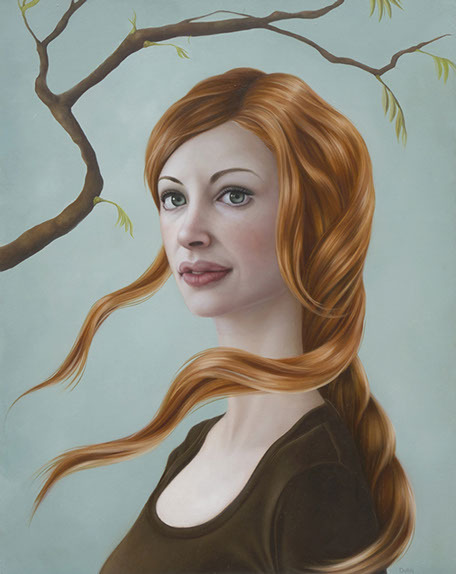 Sarah‘s work has always been character driven and combines traditional portraiture with narrative. 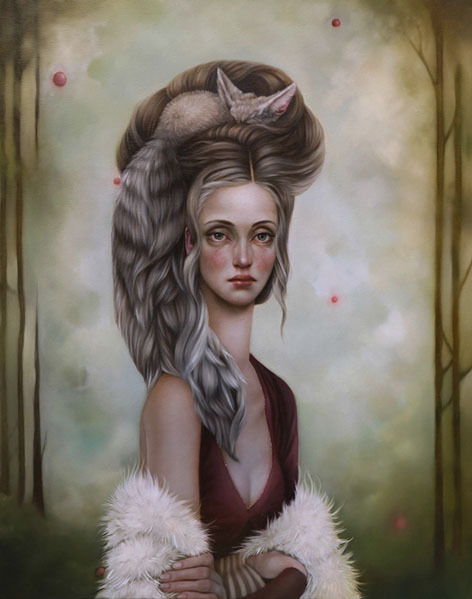 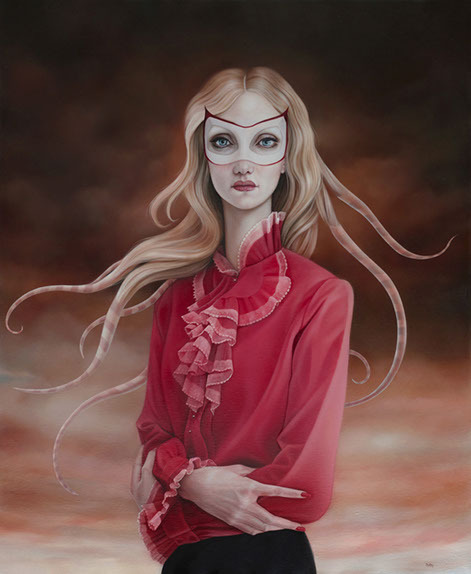 In her latest body of work ‘Spindle’ Sarah explores Fairytale archetypes. 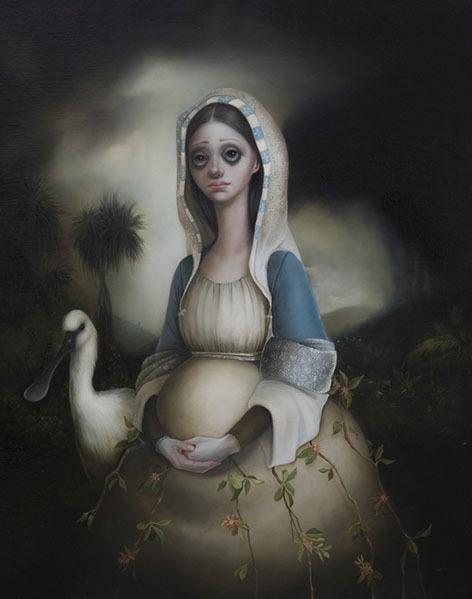 ‘Dolby’s characters are immediately dazzling in their power and beauty, but on closer inspection reveal hands rubbed raw, flushed complexions and above all else, unnerving expressions. 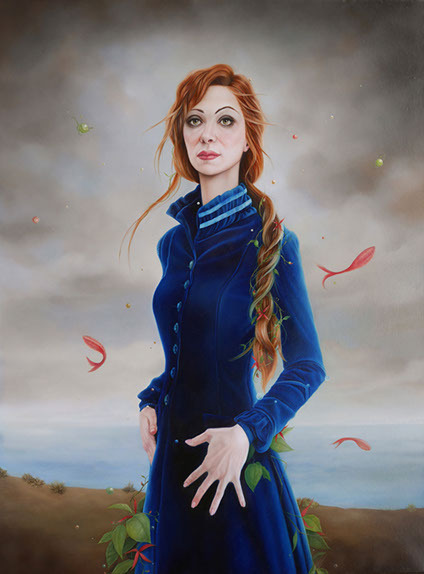 Set against stark, yet luminous backgrounds, the focus of each work is firmly on the character, and the depth and complexity of emotions barely contained behind their gaze.